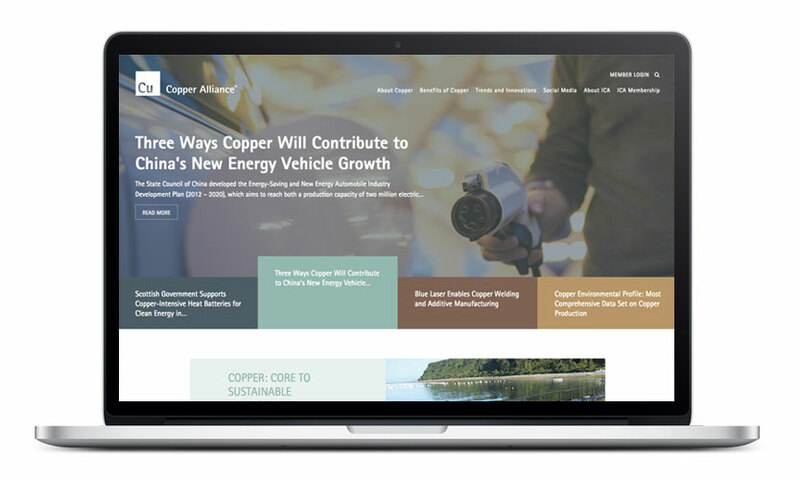 The Copper Alliance was in need of a website that better communicated their core initiatives. 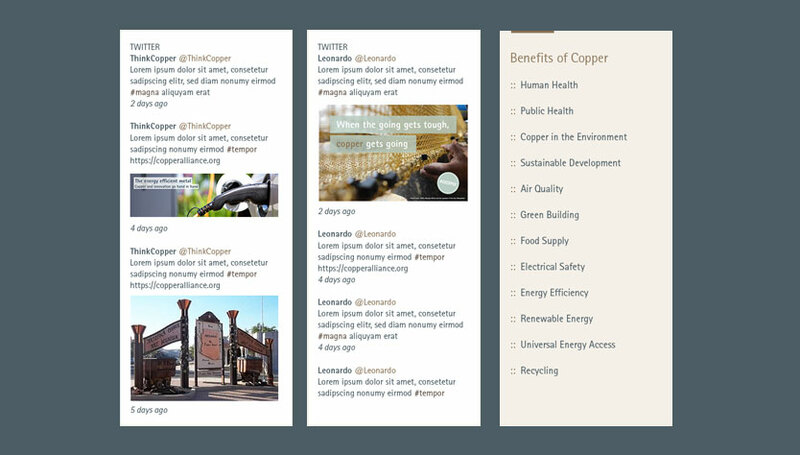 The site was designed to promote and highlight their active social networks and provide further education about the benefits of copper. Clear calls to actions are present throughout the site so visitors can easily find out more information about the International Copper Association or inquire about becoming a member of this great organization. This work was done in collaboration with the awesome team at GreenMellen.